We have updated AWS Management Portal for vCenter. This plug-in runs within your existing vCenter environment and gives you the power to migrate VMware VMs to Amazon Elastic Compute Cloud (EC2) and to manage AWS resources from within vCenter. Today’s update includes automatic upgrades, log uploading, and queued import tasks. The management console now displays a prompt when a new version is available. You can choose to install upgrades on an on-demand basis or automatically. Automatic upgrades allow you to receive updates to the portal and our on-premises connector, and take advantage of subsequent feature enhancements that we make, without having to perform updates manually. 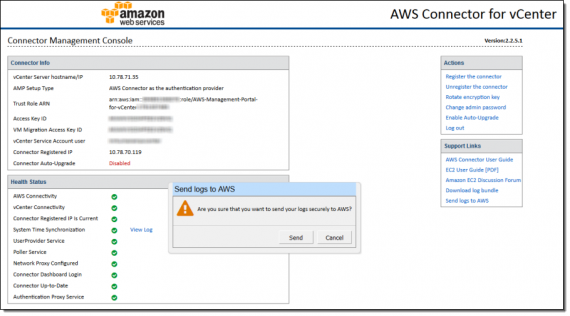 You can now upload on-premises logs to AWS with a single click. 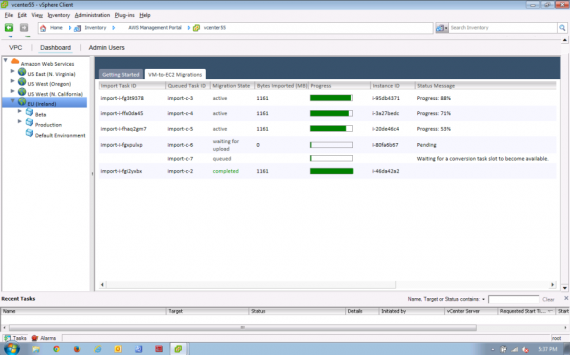 These logs can assist with troubleshooting of the VM import procedure. The plug-in will now queue additional VMs for import if the maximum number of concurrent VM migrations has already been reached. This effectively eliminates the limit on concurrent migration tasks. 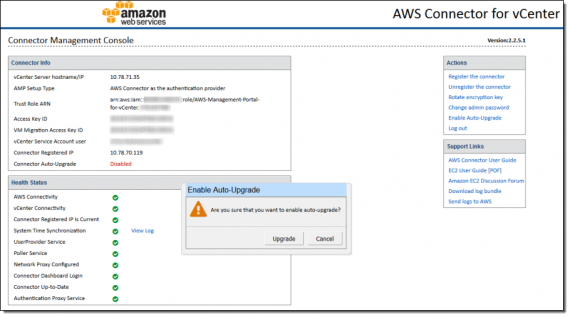 You can download AWS Management Portal for vCenter now and start using it today. See the release notes for more information on the bug fixes that are included in this launch.